Effective concentration of chlorine and chlorination and de-chlorination of water system using Sodium hypochlorite and Sodium metabisulfite. 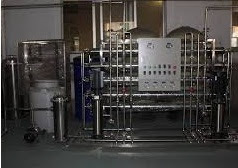 Purified water is a basic requirement of any pharmaceutical industry. Generally, the source of raw water remains a bore well and raw water is stored in a storage tank. This raw water is stored for several days. These storage tanks are not cleaned for many days. Due to this situation problem of microbial growth would occur in raw water storage tank and can contaminate the whole water system. This is a common problem in pharmaceutical industries and generally solved by chlorination of the water storage tank. Sodium hypochlorite is used for chlorination of water. When sodium hypochlorite is dissolved in water is gives free chlorine that forms hypochlorous acid which actively takes part in disinfection process. Chlorine is a strong oxidizing agent that oxidizes organic compounds effectively. Hypochlorous acid is a neutrally charged molecule that easily penetrates into the negatively charged pathogen cell wall and reacts with the lipids of the cell wall and enzymes and proteins within the cytoplasm of the cell making them nonfunctional. Due to this, the growth of the organism is inhibited and the organism dies or does not reproduce further. The concentration of chlorine in water and contact time plays a significant role in water disinfection. A 5 ppm concentration of chlorine in water is effective. It takes 15-30 minutes to kill all the pathogens in water. All molecules of added chlorine do not react with the organic matter of raw water but the excess of the chlorine remains in water in active form. This active chlorine is corrosive in nature and damages the RO membranes and ion exchange resins of water purification systems. Drinking water should not contain more than three ppm of free chlorine. So removal of this chlorine is necessary before this water is treated by resins and reverse osmosis membranes. There are various methods to remove the chlorine residues from the water before the water treatment. As far as ultraviolet light also helps to remove the chlorine but it does not seem too effective and needs chemical neutralization of chlorine also. Sodium thiosulfate and sodium metabisulphite are generally used for this purpose. These methods can cause scaling in RO membranes thereafter efficiency of RO system can be reduced. Sodium thiosulfate is found in the form of colorless crystals and reacts with chlorine as a reducing agent. The reaction of sodium thiosulfate with hypochlorous acid produces sodium sulfate and hydrochloric acid. The required amount of sodium thiosulfate may vary according to the pH of the water. Sodium metabisulphite is a widely used white powder for the removal of chlorine from the water system. It produces sodium bisulfate and hydrochloric acid with the reaction of hypochlorous acid. The required amount of the sodium metabisulfite can be calculated. Approximately 1.34 ppm of sodium metabisulfite is required to neutralize the 1 ppm of free chlorine. Therefore the chlorination and de-chlorination both are the essential part of water purification system and both of these should be done effectively during the water purification. De-chlorination by ultraviolet light is safer because it does not create the de-chlorination byproducts, those are harmful to human. But due to more practical approaches, de-chlorination by chemical methods is being done widely in pharmaceutical industries. I found this site/blogs very informative and useful. Mr. Ankur Choudhary doing best for pharmaceutical industary.